Colors options depicted on this page are for identification purposes only. Because of color variances in computer resolutions, WaterTech cannot guarantee that all of its products will match the display on this page. 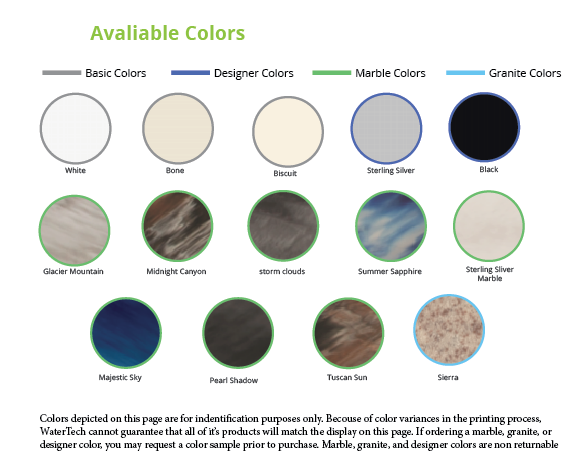 If ordering a marble, granite, or designer color, you may request a color sample prior to purchase. Marble, granite and designer colors are non-returnable.